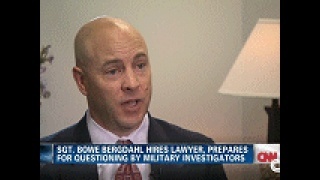 Thank you for visiting U.S. Military Lawyer.com. My name is Stephen P. Karns, and I defend Soldiers, Sailors, Marines, Airmen and Coast Guardsmen worldwide in military criminal prosecutions and other judicial and administrative military matters. I am a former U.S. Army Major JAG Attorney and have practiced law for over two decades as a trial defense lawyer. My practice is 100% devoted to criminal defense and military law. I have traveled the world defending service members from military prosecutions, and I am ready to defend you no matter where you are serving: the United States, Europe (England, Germany, Italy, Spain), the Middle East (Iraq, Kuwait, Qatar, Bahrain and Egypt), the Pacific (Korea, Japan, Okinawa, Hawaii), Afghanistan, or any other post, base, station, or camp. If you need an experienced, aggressive attorney to protect your rights, I am ready to defend you, whether it is for a Court-Martial, NJP/Article 15, Administrative Separation Board, or other military procedure. If you need representation to get a record corrected, fight a reprimand, or negotiate with your command on some other disciplinary or personnel action, I am here for you. Call me toll free for a free consultation of your case. The military will bring tremendous assets to bear on you as it investigates, prosecutes, and then punishes you for any proven illegality or impropriety. As such is the case, you are well-advised to seek out a forceful defender who will protect your rights and fight for your interests. Give me a call if an experienced, aggressive military attorney is who you want in your corner! Read What Past Clients Have Said. I hope the resources below will shed at least some light on any military legal matter for which you may have questions. Please review the results I have achieved for my clients in the Past Cases section, or simply click the Types of Cases Handled section from the list on the left. Read the unsolicited comments of my former clients regarding my services in the Client Testimonials section. I am happy to speak with you regarding your particular case and stand beside you if you are ready to fight for your rights! "Please note we do not handle disability claims or divorce, child support or other family law issues."